Recording started at the end of last year, when the photos in this update were taken, and one of the main takeaways from the update is that recording is now at 70-80% completion, and is "right on track". As known from the early days of the project, Corey Marshall will be reprising his role of Ryo Hazuki. 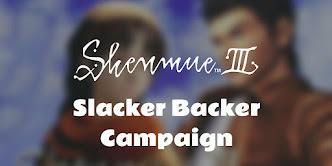 While the role of Shenhua will be played by Brianna Knickerbocker (interestingly, the banner below orders Shenhua's name with her surname first: "Ling Shenhua", an inversion of the name order followed in Shenmue II, but an order that is commonly found when representing Chinese names in English - we previously looked at this topic in our earlier post "Zhu Yuan Da or Yuanda Zhu?"). 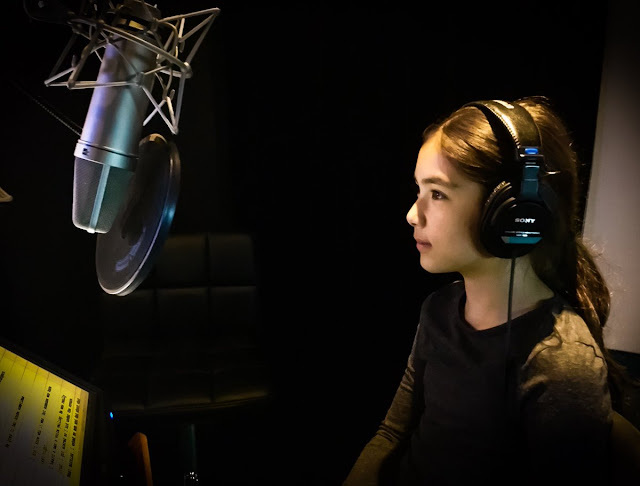 Brianna has numerous credits in acting and voiceover work to her name (IMDB) over the last ten years, including video games such as Valkyria Chronicles 4 as well as anime series such as the role of Yuna in "B: The Beginning". The update includes a fantastic "Behind the Scenes" video showing Yu Suzuki and sound director Takayuki Nakamura paying Corey and Brianna a visit in the L.A. studio to kick off the start of recording at the end of last year (2018). The video opens with a view of the recording booth, with Corey at the microphone on the other side of the window. Playing on the monitor is what looks to be part of a cut scene from Shenmue III, complete with a soothing musical track playing - is that the sound of an erhu? The music is muted out by the engineer just before Corey voices his line: "There you are!" The camera appears to be tracking over some long grass, following a path towards some trees. The angle then changes to show the person Ryo was addressing: Shenhua. The setting resembles images we have seen of Bailu village and its surroundings. It appears from the pink coloring the tree is in bloom. Shenhua sits at the foot of a large tree, and a narrow path runs diagonally up the rocky hillside behind. At the end of the clip, several petals can be see falling from above, to the right of Shenhua. A little later in the video, another clip plays on Yu Suzuki's laptop. 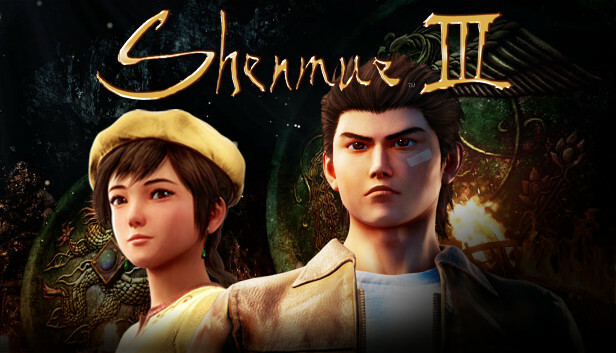 As this section of the video fades in, a brief image flashes up of Ryo and Shenhua looking out across a river; this is recognizable as part of the scene that we have seen earlier as part of the Gamescom 2017 teaser trailer. Here is the laptop image, after applying adjustments for contrast and straightening, compared to the scene in the trailer. The scenery has remained very similar, while one noticeable difference is that Shenhua's plaits were not in place in the early teaser. 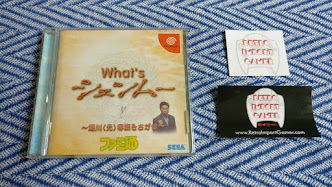 Left: the image on Yu Suzuki's laptop (with adjustments). Right: image from the Gamescom 2017 teaser. From the way the image is abruptly replaced by a simple "Loading" message as Yu's hands move on the keyboard, it is likely he chose to skip having the rest of the scene play out. We then see Ryo and Shenhua walking along a well-formed path, talking. At the top right is an identifying code: "S3_Script_" followed by a long string of numbers, and there are captions in Japanese as the characters talk. Shenhua: Ryo, let's head for the village. Do you have any idea where your father could have gone? The scene then fades out, and at this point Yu Suzuki takes the controller up in his hand - the point at which player control begins. There is also a static image of Ryo showing on the monitor at the back of the desk. Image of Ryo, straightened (right). Corey Marshall's daughter Katana has also been recording in the studio. Katana Marshall in the recording studio. "He goes to her house sometimes. I don't know who it was but someone was here lat night. I heard a man's voice yelling. He was really loud. I got scared so I hid under the covers. Of the characters we have seen, one possibility is the little girl from Bailu village who has appeared in previous clips such as in last year's THQ Nordic presentation. Returning to the update, it did not contain any further information regarding the English voice actors for other characters in the game, such as Ren, Lan Di and the minor NPCs, However, it stated that the English voice acting is being handled by a company called Lionbridge Gaming. 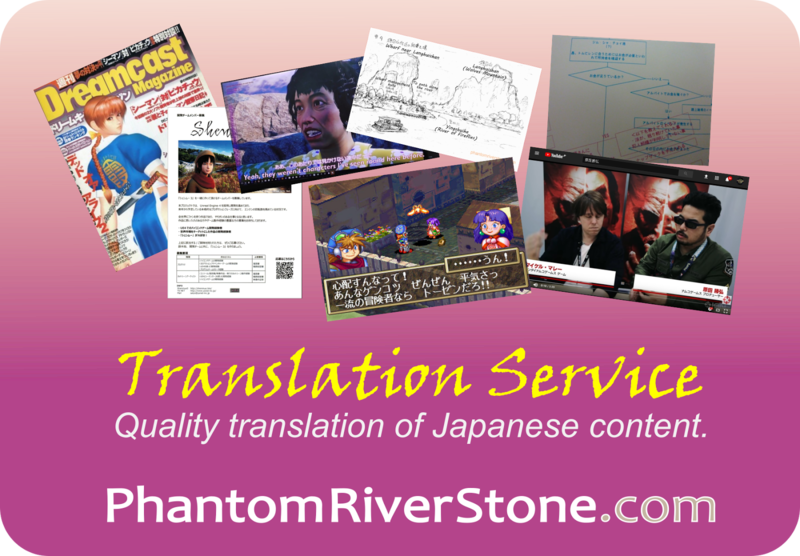 Lionbridge is an award-winning multinational software and professional services company, with their Gaming Services webpage listing "translation and localization," "audio production" and "game dialogue localization" among the services offered. 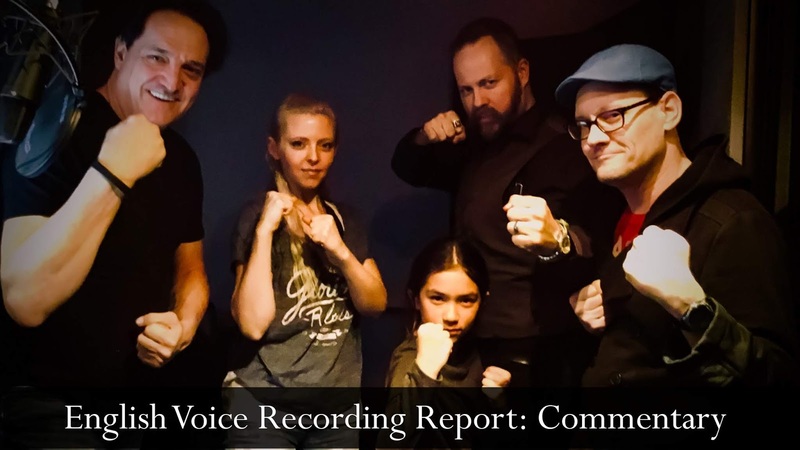 The original update also contains additional photos of Yu, Corey and Brianna in the studio. Go here to view it. In early December, Corey tweeted a photo of himself with Yu Suzuki at the recording studio in Los Angeles. 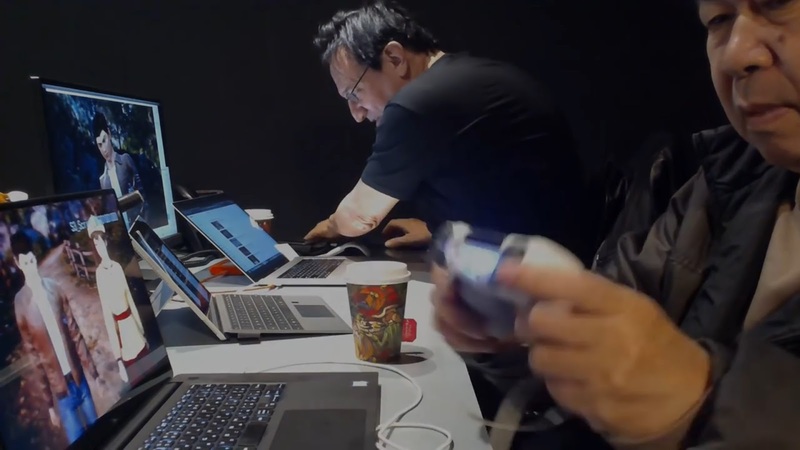 Since then he has been providing fans with some great interaction and information, posting replies and updates on Twitter that give insight into the recording process. It shall stay in place for all eternity - as long as Lan Di and his henchmen do not get their hands on it.